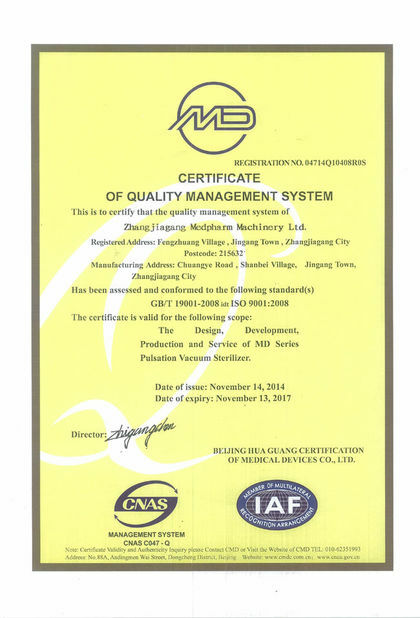 Quality Control - ZHANGJIAGANG MEDPHARM MACHINERY LTD.
MEDPHRAM is focused on producing reliable and efficient solutions for sterilization and infection control. 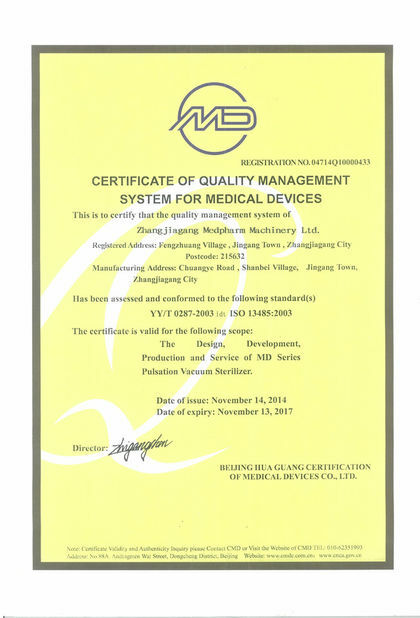 Our equipment is safe, highly productive, user-friendly and eco-friendly. MEDPHRAM works to keep prices affordable both for the equipment and the further maintenance. 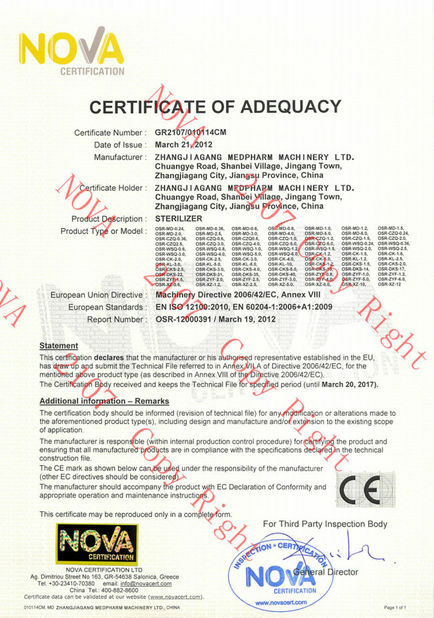 MEDPHRAM medical equipment have all certificates needed in accordance with international standards (CE).